Home » News » Tullamore Businesswoman Karen Burke took home the award for "Best Craft Based Business"
Tullamore Businesswoman Karen Burke took home the award for "Best Craft Based Business" in the national Micro Business Awards on Saturday 14th April at a ceremony in The Strand Hotel, Limerick. Her business Enchanted Gift Shop won the award which recognises business with a strong craft base in Ireland. Karen said "I'm honoured to win this award. Thanks to all our wonderful customers who have stayed loyal and steady with us over the last few years, your support means more than words can say. I am blessed to work in a job that I love and I have all my lovely customers to thank for that". Karen praised the work of Ruairi Devlin and all at the Micro Business Association who were working to give a platform to small business from all over the country who often don't have a strong support network in the daily running of their businesses. "There are a lot of businesses that don't qualify for support and assistance from official organisations as they aren't in heavily promoted areas such as export and tech, but every small business is contributing in their own small way to their locally economy and creating employment for themselves . Enchanted Gift Shop is an online gift shop based in Tullamore, Co.Offaly. They design and manufacture high quality, quirky gifts and cards for any occasion you can think of! Their handmade range includes personalised plaques, personalised 3D Frames and personalised greeting cards all lovingly designed and handmade in Tullamore. 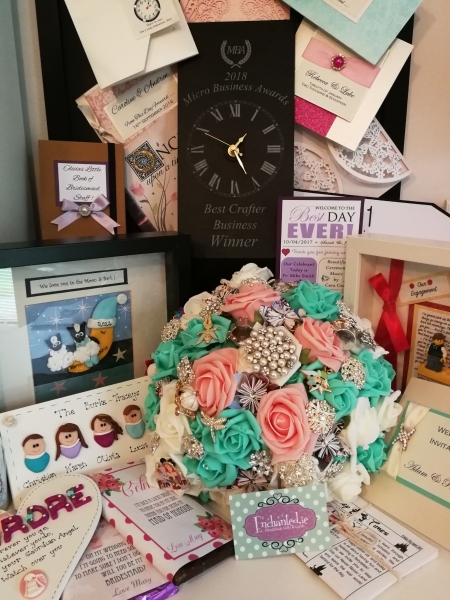 They also specialise in high quality handmade wedding invitations,offering a bespoke service to couples, and as a qualified Wedding Planner & Event Planner Karen can provide that little bit extra and tie all the elements together. 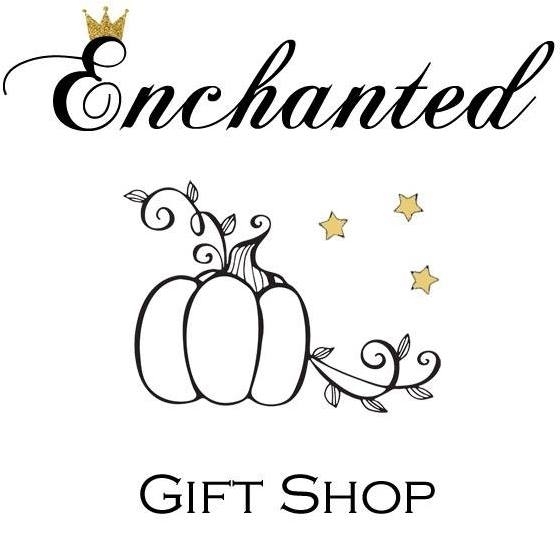 Enchanted Gift Shop is also home of its very own brands such as Heart On My Sleeve Greetings , The Enchanted Little Door Range and their signature handmade clay family plaques and frames "The Clays".